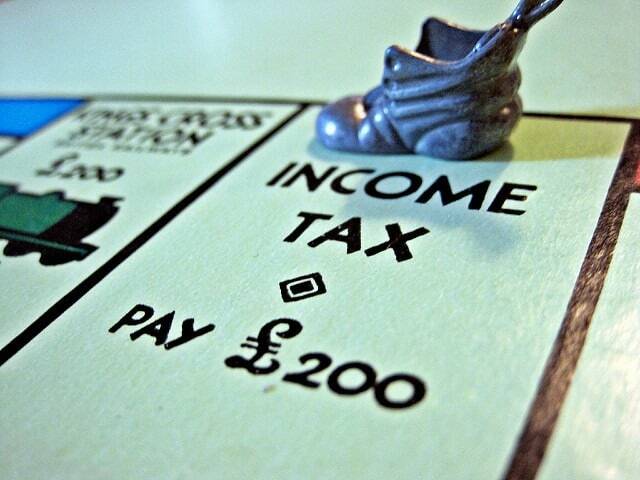 Wondering if you’re making any of these common tax mistakes? Tax filing season is coming soon. I think you’ll agree with me that tax season is hectic. Wondering if we will owe or get audited is stressful! In getting ready to prepare our taxes, whether or not you use a professional or tax service, it’s important that we have good records and have organized the prior year’s info and receipts. Before you file, let’s review the most common tax mistakes so you can avoid them and dramatically improve your chances of a refund and avoiding an audit. Consequence: You can lose your hard-earned dollars due to this tax preparation mistake. If you use the wrong form, your deductions may not apply and you’ll have to pay tax on a higher amount not counting those deductions. What to do: If you are not sure which form you should use, don’t hesitate to ask for help. Moreover, research online and see how much of a deduction you’re eligible for, so that you can double check whether or not you’re qualifying for the correct deduction amount. Looking for an easy, quick and free way to file your taxes online? E-file Your IRS Taxes for FREE with E-file in as little as 15 minutes. Get your refund as fast as possible. If you run into trouble, quickly and easily get help with their online support team. Learn more about E-file today! Consequence: You have to spend about $100 or more unnecessarily when you can do it yourself. What to do: You can take advantage of free services to prepare your taxes, depending on how much you earn in a year. For example, if your earning is less than $62,000, you can prepare and file your federal income tax return by using the IRS’s free online software or E-file. If you are 60 years of age or above, you can take advantage of the TCE (Tax Counseling for the Elderly) program sponsored by the IRS (Internal Revenue Service). The IRS sponsors a program, VITA (Volunteer Income Tax Assistance), wherein trained volunteers offer services for free tax preparation. People who are disabled or elderly or with limited English-speaking ability can qualify for the program. You can also use the free services if your income is $54,000 or less. Also check out the IRS webpage for a list of software providers and face-to-face assistance. Consequence: This is one of the most common tax mistakes. Doing this, there will be a delay in getting a refund or it may get rejected too. What to do: This is one of the most costly and common tax mistakes which taxpayers often make. Double check your SSN (Social Security Number) and the spelling of your name. Another of the common tax return mistakes is filing under the wrong name shortly after marrying. If you’ve been married recently and haven’t registered a name change yet, then make sure you use your old name for tax preparation this year. You need to make sure you match your name as listed with Social Security. Consequence: Your itemized deductions may be greater than your standard deductions. What to do: Often people don’t opt for itemized deductions because they don’t own a home. However, there are other itemized deductions which you can opt for. A suggestion – do the calculations and check out which is more profitable for you – standard deduction or itemized deduction. For example, if you have significant out of pocket medical expenses, your taxable income amount may get lowered, in comparison to what you get if you opt for the standard deduction. Charitable donations, child care expense and sometimes even summer camps can be itemized; don’t just assume the standard deduction is best! Consequence: It’s simple; you’ll lose dollars if your tax return is not accurate. What to do: If you’re preparing your taxes by yourself, use a calculator and check the results at least twice. Even if you are using a calculator or a computer, make sure you key in the numbers correctly, so that you get accurate results. Consequence: It would have reduced your actual tax bill. What to do: You may be eligible for the American Opportunity Tax Credit if you are enrolled for at least 4 years of college or if your kids are in college. It is worth up to $2500. So, don’t make this common tax mistake if you’re eligible! Consequence: You’ll pay more as you won’t get the deduction against your income for all cash and goods you donated last year. What to do: Throughout the year, whenever you’re making any contribution to any qualified charity, you’re eligible for a deduction if you itemize. But, to get that, you need to keep a record of everything you donate along with knowing the IRS rules about the charitable contributions. If you are donation is under $250, you need to document it through a canceled check, a bank record or simply a receipt from the charity. If you’ve donated more than $250, then you need to produce specific details (as per IRS guidelines) written acknowledgment from the charity. So, don’t make these tax mistakes that can cost you big bucks. Instead, save your precious dollars. Even then, if you have any questions, you can post your queries in the DebtCC Forum and get answers from the industry experts. Check out some additional tips on charitable contribution deductions from TurboTax! Getting your refund direct deposited into your checking account is awesome! Accidentally transposing just 1 number and getting your refund bounced back to the IRS or accidentally giving it to someone else; which could take months to fix! Consequence: If you don’t enter the numbers correctly, you won’t get your refund; plain and simple. Sure you’ll get it eventually, but it could take months to get the money in your account. What to do: Simply double check the numbers before you hit send or pop in the mail. This too is one of the common tax mistakes and it could take months to get your hard-earned refund! The routing number is always 9 digits and is the number assigned to your bank. Thus EVERY customer of that bank has the same routing number. Your account number is unique and can vary in length. If you are reading it off a checkbook make sure to NOT include the check number in the sequence which is often next to the account number. Side Hustles are a great way to earn extra cash. But unless they literally paid you in cash, you have to include it in your taxable income. Technically you probably need to pay even if they DID pay you in cash, but if you don’t tell, I won’t. 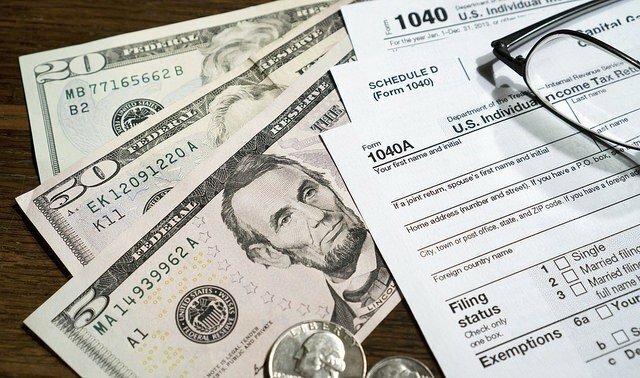 Consequence: If you forget to claim additional income and the company who paid you files it with the IRS on their end, you risk an audit, penalties, fines, and additional taxes. What to do: If you always do the “right” thing, while you will make accidental mistakes, you never have to worry about getting in trouble. Thus, claim all your additional income on line 21 of your 1040 form, listed as “Other Income”. This would be any income you received where you did not receive a W-2. It’s hard to believe, but forgetting to sign the return is one of the biggest common tax mistakes. Of course, as more people switch to filing electronically, this has gone down, but it’s still a huge problem. Consequence: If you mail it in without your signature, the IRS will (eventually) mail it back to you as incomplete. You’ll then need to sign it and mail it back. If you have now missed the April 15th deadline, guess what? You might find yourself now owing fees and penalties for filing late. What to do: Have a checklist of all of these common tax mistakes and double check each and every one. Believe it or not, many taxpayers forget to file on time every year. Consequence: If you don’t file by April 15th (some years that gets pushed back a few days depending on what day of the week the 15th is) you risk paying penalties and fines for failure to file. What to do: Obviously, it makes the most sense to file your taxes on time each and every year. However, in some cases, it might make sense to file a Tax Extension to extend the deadline. If you know you owe and are unable to pay by April 15th, you definitely want to set up an IRS Payment Plan to avoid the penalties associated with failure to file. There are 5 different filing statuses on a federal tax return. The most common ones are “Single”, “Married Filing Jointly”, and “Head of Household”. The IRS finds that “Head of Household” is one of the most common tax mistakes on the filing status. Head of household means yo have dependents but are not married; thus it’s primarily for single parents. Consequence: The filing status determines your tax rate. Thus choosing the wrong one could lead to an audit, your return being rejected AND paying additional tax. Plus you might also have to pay interest and penalties on the amount you didn’t pay due to the filing status error. What to do: Keep it simple. If you’re married, file “Married Filing Jointly”. If you’re single, file “Single”, and if you are indeed a single parent, then file “Head of Household”. One other common tax mistake is forgetting to deduct any contributions you may have made to retirement account such as an IRA. In addition, you can continue to deposit into your retirement account and have it count towards the previous year’s return up through April 15th. Thus if you see you’re going to owe a little, you could opt to make some large deposits into an IRA in the early part of the year right before tax time and get the deduction on the previous year’s return, reducing your taxable income. Consequence: Any contributions into an official retirement account are tax deductible. Thus, forgetting to claim those increases your taxable income thus reducing the refund you might get or inflating the tax you owe. Plus if you make contributions in Jan, Feb, March or the 1st weeks of April, those also go on the prior year’s deductions list, so forgetting to list those also costs you. 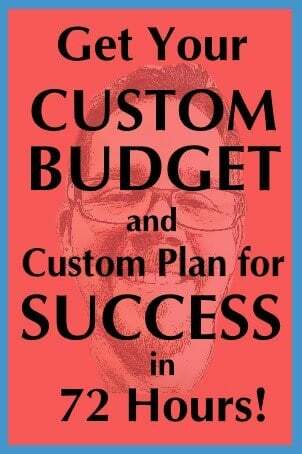 What to do: As I mentioned above, your best friend in avoiding the common tax mistakes is a checklist of every step you want to double check before hitting send. Did we cover all the common tax mistakes you were looking for? In this post, we took a look at what the IRS says are the most common tax mistakes people make, year after year. Despite the simplicity of some of them, thousands, if not tens or hundreds of thousands of people make these again and again. 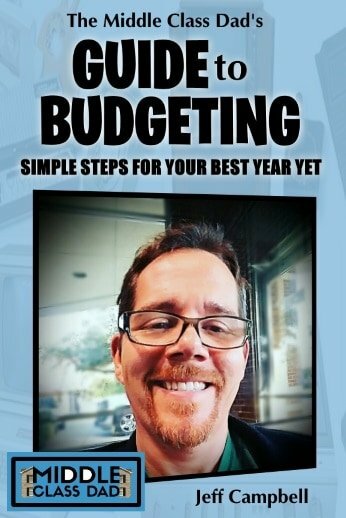 We went through each of the 13 most common mistakes and some simple steps and checks you can take to avoid them. That way you can file with confidence knowing you just lowered your chances of an audit or having your return rejected. What is your biggest challenge with taxes? If you like this post, please follow my Income Tax Tips board on Pinterest for more great tips from myself and top tax experts! Barbara Delinsky has written for several blogs. She loves to write anything and almost everything on personal finance and is quite active on social media too. While she is not writing, she spends most of her time exploring new places, people & their culture. Of course I have to offer the standard disclaimer here: I am not a tax professional and you should always seek the advice of a CPA or other tax professional. While I do have decades of experience running million dollar businesses and have many years of personal experience with taxes, ultimately, the opinions offered here are mine based on my personal experience, knowledge and research and should not be interpreted as legal or financial advice. I will and I appreciate your being here!